One of the key features of living in Milan are the characteristic apartment buildings (pictured below). Built in the early 20th century, these buildings, known as ‘palazzo’ (palazzi pl. ), have housed generations of families, groups and individuals over the decades; Italian and non-Italian, working and middle-class. Photo (CC BY) Shireen Walton. 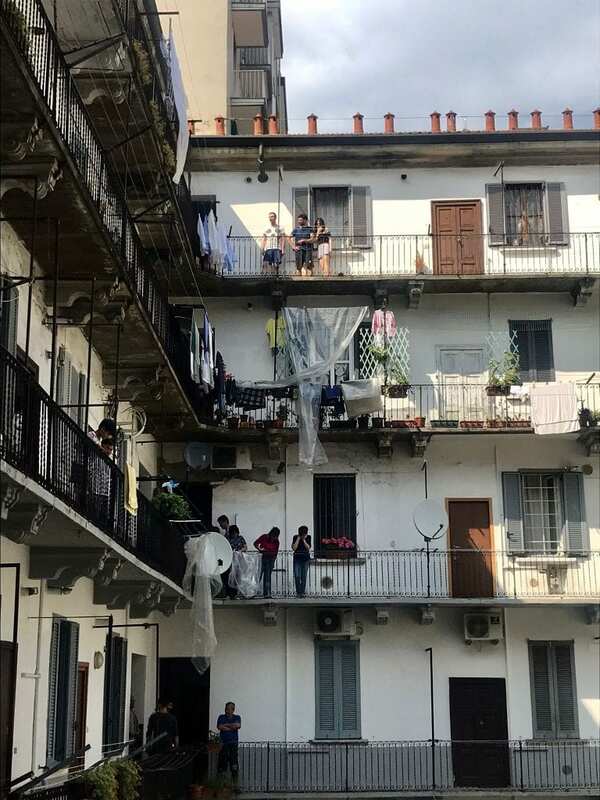 Living here, in an inner-city, multi-ethnic neighbourhood in Milan, I am struck by how many people I have come to know who live by themselves. My findings reflect official figures on single-person households, which are increasing exponentially within Europe  (a majority being in northern European countries), as well as globally, as witnessed in countries such as Japan, China, and Brazil . In 2016 in the EU, single-person households accounted for almost one third (32.5 %) of private households, with a higher proportion of women (18.4 %) living alone than men (14.1 %) . In Italy, the national average for people living alone is 31%, while in Milan, 52% of households consist of one person . Among a number of explanations for people living alone through choice and/or circumstance are; a number of socio-economic changes over the last 60 years, shifts in work and lifestyle patterns, higher separation and divorce rates, evolving gender roles, and a potent legacy of 1970s Italian Feminism in challenging normative expectations of nuclear family models. In light of this increasing trend, ethnography can help question some common assumptions about people who live alone – namely, that such people are alone in their lives. In her monograph (2015) on the subject of Italian women above the age of 45 living alone in Milan, Sociologist Graziella Civenti, based on a sociological study of 250 women, found that through a variety of collective ties, practices, and networks, such women establish intricate care and exchange networks that carry out many of the social and economic functions traditionally carried out within and by the nuclear family structure. In so doing, they are able to establish a functional sharing economy that is mutually sustaining and nurturing based on the premise of solidarity, mutual assistance, and attending to common problems . 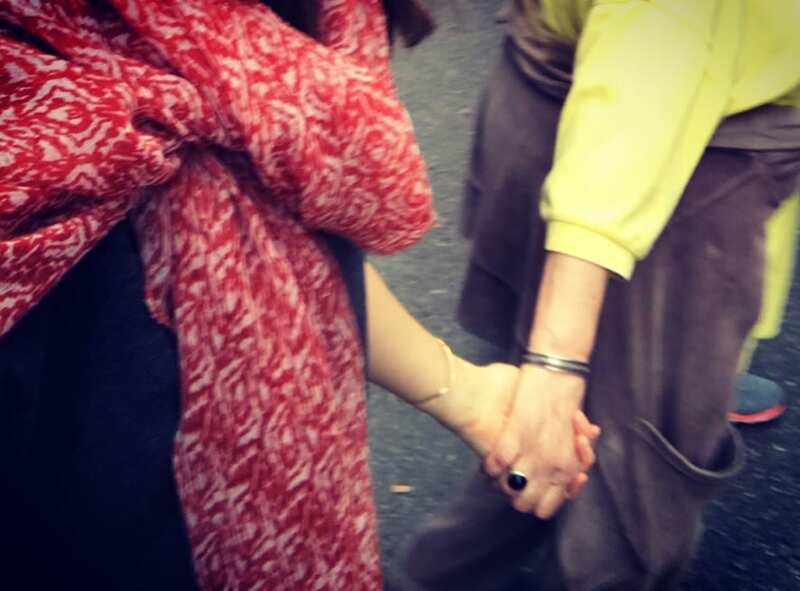 The relationship between the two women now constitutes a kind Mother-daughter one; one that has been gradually crafted through a mix of neighbourly goodwill, as well as a cross-generational female bond nurtured through mutual care giving and receiving. For other women in the neighbourhood, such as those living alone away from their home country, the issue takes on different dimensions. Zaina (35) is from Tanzania. She lives alone with her two-year old daughter in a small apartment obtained through the help of social services. Zaina left her country two years ago in the hope of what she envisaged to be better economic opportunities in Europe. Her husband (also Tanzanian) is currently working in another African country. She is in contact with him, and her Mother back home, via WhatsApp. 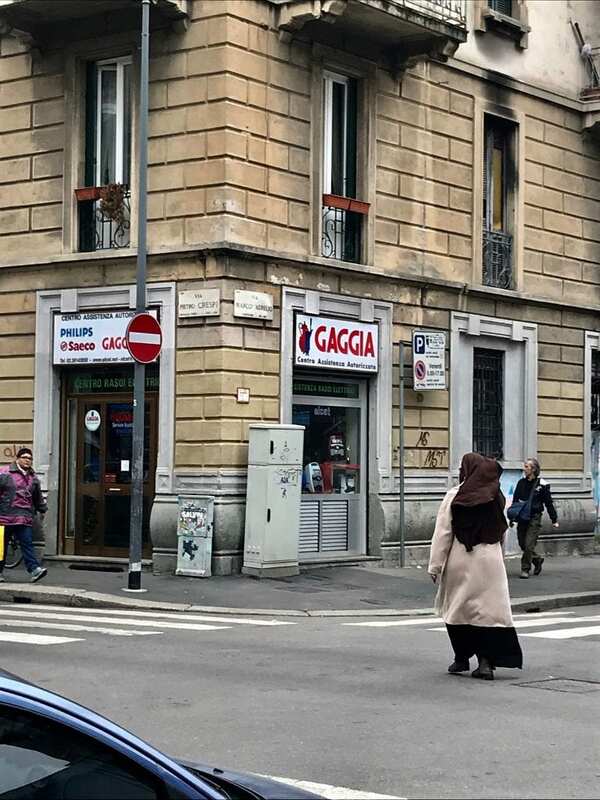 As an outsider to many of the social and ethnic groups here in Milan (most of the Tanzanian people she knows in Italy are in Naples – she is connected with them via a WhatsApp group), Zaina explained how she can feels lonely sometimes. With a young daughter that she has been told is too young to attend some of the local nurseries, searching for a job proves challenging. However, due to various on– and offline practices, Zaina described how she is ‘never really alone’. Her smartphone, providing she has credit on it, keeps her company. It connects her to family back in Tanzania, and to siblings living in other European countries. From time-to-time, Zaina attends community events at the public school in the park near to her apartment, where she can be around other Mothers, celebrate festivals such as Eid, and connect with the wider community, including attending Italian language classes. Unlike Claudia, for Zaina, it is not the apartment building space that provides the community feeling she finds so comforting, but the exact opposite – it is through her reaching out beyond the confinement of the apartment – to wider spaces in the community, and online to social media – that she feels she and her daughter are present and to varying degrees, cared for, both in Milan and back home in Tanzania. There therefore seems to be a complex sociological relationship between living alone and loneliness that I am exploring through my ethnography. 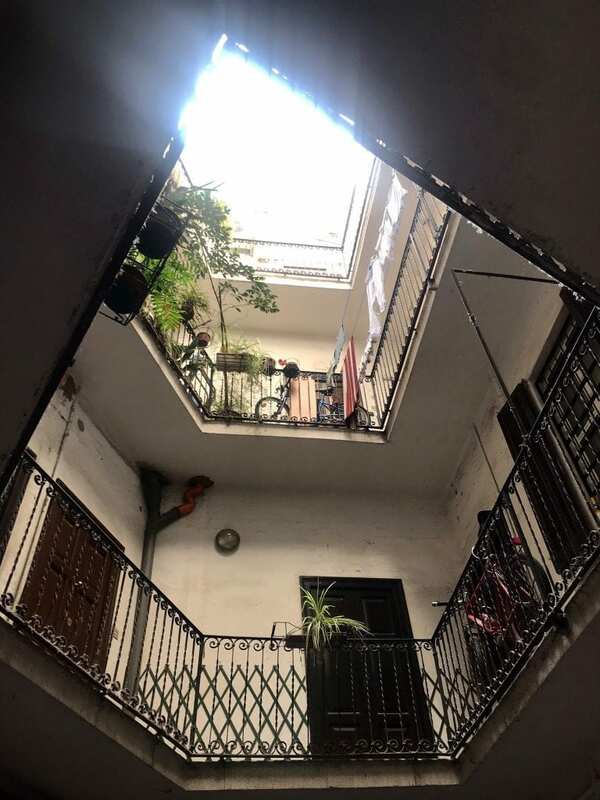 I am beginning to see how in various spaces (social, geographical and digital) of/for care, people who live by themselves co-construct wellbeing through everyday acts, through which they craft themselves into social worlds, on- and offline – from the next-door-neighbour chats, to family/culture-linked WhatsApp groups, and beyond. At a time in history when an increasing number of people are living alone, (digital) anthropological findings that emphasise everyday lives lived can help unpack societal prejudices and assumptions, such as the hyper-individualism of such people, or that living alone infers a person’s loneliness and/or alterity in society. Challenging these ideas may prove difficult in the societies themselves, but nuancing the issue further by taking into account a range of individual lives and practices, can have a number of implications for social policymakers, particularly when it comes to ageing populations such as Italy, with 28% of the population over 60, and 31% living da sola/o. Civenti, G. (2015). Una Casa Tutta Per Sé. Indagine Sulle Donne Che Vivono Da Sole. FrancoAngeli, Edizioni.